Need to dry your floors after mopping?. Need to dry your wet carpet?. Look no further, because the XPOWER P-230AT Mini Air Mover does it all! Small but mighty, the XPOWER P-230AT produces a plentiful 800 CFM airflow capacity for small to large jobs in every size location. 7 LITRE PRESSURE SPRAYER. This sprayer is suitable for most industrial purposes. Made of special, high-resistance materials for use with various chemicals. 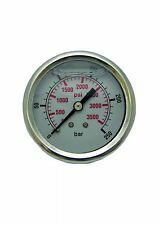 All seals incorporated in this range are viton. Keep your floors clean and shiny with this Lemon Gel Floor Cleaner to maintain their lustrous appeal. Lemon Gel Floor Cleaner 5L for Hard Surfaces. Long-lasting, pleasant lemon fragrance. Promises effective cleaning and maintenance of different floor types. The highly effective cleaner improves printer and fax performance by removing ink stains, oil and grease. 100ml per can. Suitable for: Fax Machines, Printers. Wipe dry with a clean Safecloth. Size: 22oz (651ml). - Spray Lift Off on painted area and wait 60 seconds. CAUTION: Avoid applying Lift Off to vehicles in direct sunlight. - Heavy duty jobs may require more than one application. 100% pure fragrance and odour neutraliser. Includes two refills. • Includes two refills. Complete with fixing kit. reception areas and offices. Alternative part numbers: 9001692, 9.001.692, 90016920. All our products sold areGenuine Karcher. Karcher Center Aquaspray. N.B. your Spare Part head may have stamped on it 9.760-341.0, 97603410, 9760341, 9760341 or 9.036-686, 9036686, 90366860, 9.036-686.0. Powder coated aluminum handle won't break. Channel Type Stainless steel Mat Clamp - w/ Red Bumper. This Mat Clamp is made of Stainless Steel. Wall Mount, Makes washing down a set of mats easy. Sold as rolls of 500 stickers. Proudly made in the UK. Add to Favourites. PART NUMBER E11836. SELF ADHESIVE RECOVERY TANK LID GASKET SEAL FITS Powerplus SX2700. Based on the popular range of IK MULTI Pressure Sprayers this new range have a number of new features. The service provided is second to none. All sprayers supplied by us can always be sent back to be serviced and spare parts will always be available from us. Heavy Duty Multi Purpose Cleaner & Degreaser - Super Concentrated. Use with care - caustic product. Effective on all hard surfaces including machinery, floors, ceramic, concrete, tarmac. Removes almost anything from any surface. A pair of ceramic ignition electrodes to fit Lavor/Cleanwell pressure washer machines. 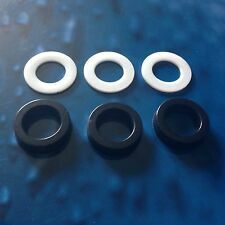 11 mm x 15 mm x 11 mm. You will need two kits to do a full pump rebuild. This sale is for 1 – Grandi Groom Carpet Cleaning Rake, 18" Head Only. NEW – Just what you see in the pictures. Beaker Rack & 2x 500ml Beakers 6L, 9L, 13L, 20L & 27L tanks, Jewellery, Dental The kit is designed for professionals and hobbyists. Dual Beaker holders to support two beakers with minimal support reducing loss of ultrasonic power. This space-saving dispenser fits rolls of perforated paper, and is designed for areas that require fast access to towels - such as kitchens, gymnasiums and garages. Size: Large. During that process you will be issued with an RMA number. 80M x 175mm. 6 ROLLS OF QUALITY CENTRE-FEED. EMBOSSED FOR STRENGTH AND ABSORPTION. Bookmark Us. WILL FIT KEW ALTO MACHINES. THIS LIST IS FOR A VARIO ADJUSTABLE NOZZLE END COMPLETE WITH BAYONET AND STAINLESS 1/4"BSP PIPE 430MM. VARIO JET NOZZLE WITH MINI MALE 11.6MM MALE QUICK COUPLING - YouTube. Karcher K-sereis compatible. The special stainless steel drain cleaning nozzle has 3 rear facing jets which help to propel the hose along the drain or pipe, cleaning as they go and 1 forward jet to to cut through the debris.